In Friends, Busy Baby can play, share, paint, and help cleanup. Whatever Busy Baby does, the most important thing is to make some new friends along the way. Both books will keep the very youngest readers busy reading, playing, and learning. 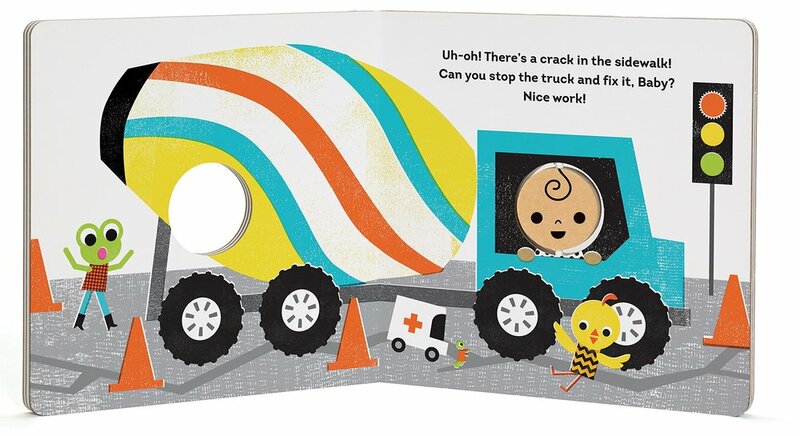 In Trucks, Busy Baby can race in a fire truck, use a cement mixer, and collect recycling. Whatever Busy Baby does, the most important thing is to make some new friends along the way.